The nature of mining activities implies the disturbance of the environment in various ways and hence brings along environmental impacts within changing boundaries. While some of these impacts are limited only within the footprint of the project area, the other impacts are considered to be seen in larger areas (i.e. local, regional and national scales). The scale of these impacts largely depends on the mining activity itself. However, the characteristics of the receiving environment are also important, especially for the mining activities run in the vicinity of the regions that represent environmentally sensitive areas. Within this scope, analyzing the environmental impacts of mining activities in these areas and designing consequent measures to be taken can provide a better understanding of the mining environmental management. The project area, Ha Long Bay, which is located in the province Quang Ninh of Vietnam, is UNESCO World Heritage Site. At the same time, the project area is an important industrial location by means of hard coal mining. Consequently, to find an environmental sustainable balance between all the land use requirements (industry, settlements, tourism and the natural resources) comprehensive environmental planning is necessary (see Figure 1). 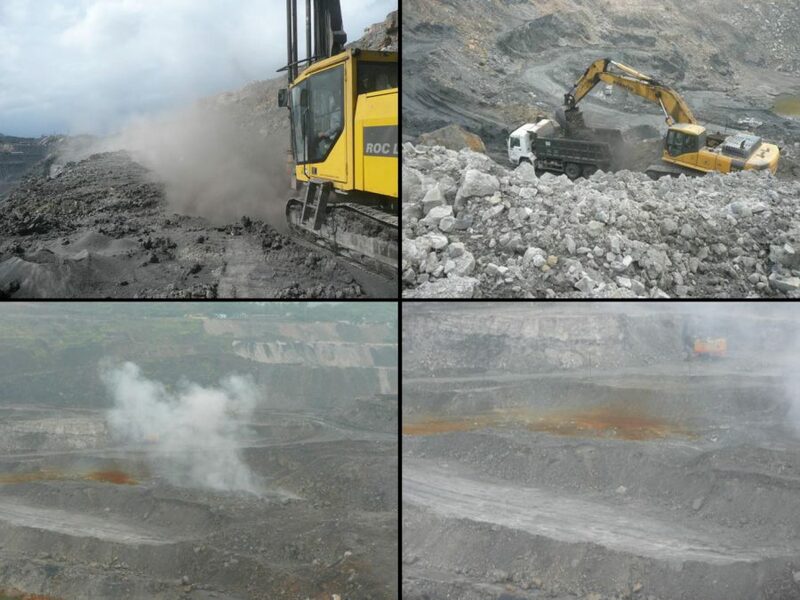 The aim of the RAME Project is to develop and adapt environmental concepts and to carry out capacity building for the hard coal mining industry in Vietnam, especially in sustainable land use and environmental management. 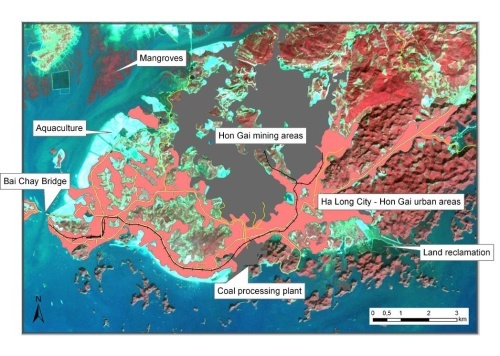 As one of the sub-projects of RAME, the project “Dust Mitigation Strategies and Monitoring” aims to analyze the extent of the dust emission problem (see Figure 2) arising in the Nui Beo mine site, an open pit coal mine at Ha Long Bay, and further to define the most appropriate dust mitigation management option.